Hacked Gadgets :: View topic - PC case mod.. help! 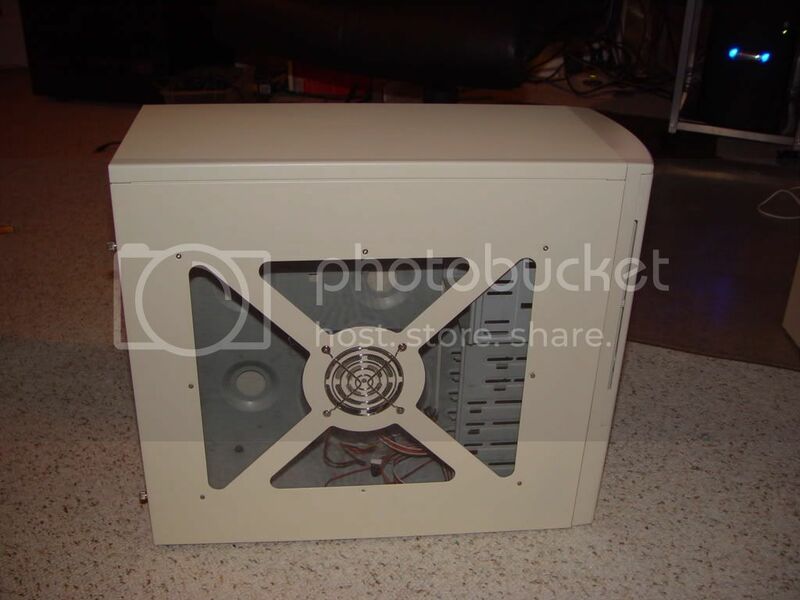 Posted: Mon Oct 15, 2007 3:21 pm Post subject: PC case mod.. help! umm, when painting a computer, can i just use any old spray paint? or is there something special? I have painted a few cases, I am not saying that I know what I am doing... But I just scuffed the case with 400 grit sand paper (both times they were beige boxes). Then I applied a coat of primer followed by the actual paint color. Turned out quite good and I used some cheap paint cans from Walmart. It is best to take the case totally apart so that you don't have to worry about over spray. Modify the power button. You could replace the power button piece on the outside of the door with something else. 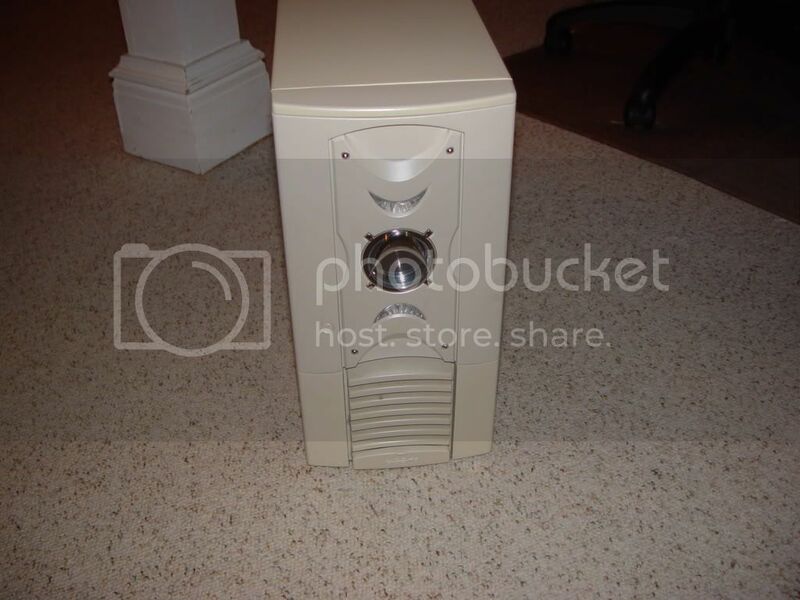 this piece is basically a tube that pushes in the power button on the inside of the door. Try to find some sort of clear plastic piece that's the same size or close to the same size of the hole. On the outside of the door there is that clear circle thing in the middle and those clear things on the top and bottom of it. I would try to sequence some LEDS between these three sections when the computer boots and shuts down. Have the LEDS be different colors, the middle one and the top / bottom another. When the computer boots sequence the middle first with a fade and then the top and bottom from left to right with timed blinks, that would be so cool looking. Adding slim vertical windows to the door above the power button and on the other side would be cool. You could add a clear window, use something dark as a backing (maby a rough fabric even), and place el wire between the window and the dark backing. If you run the el wire in a symmetrical pattern on both sides it would look crazy. I would get rid of that fan vent thing on the window side and cut a full square window instead of the sections. Modding that vent thing under the door on the front wouldn't be hard. 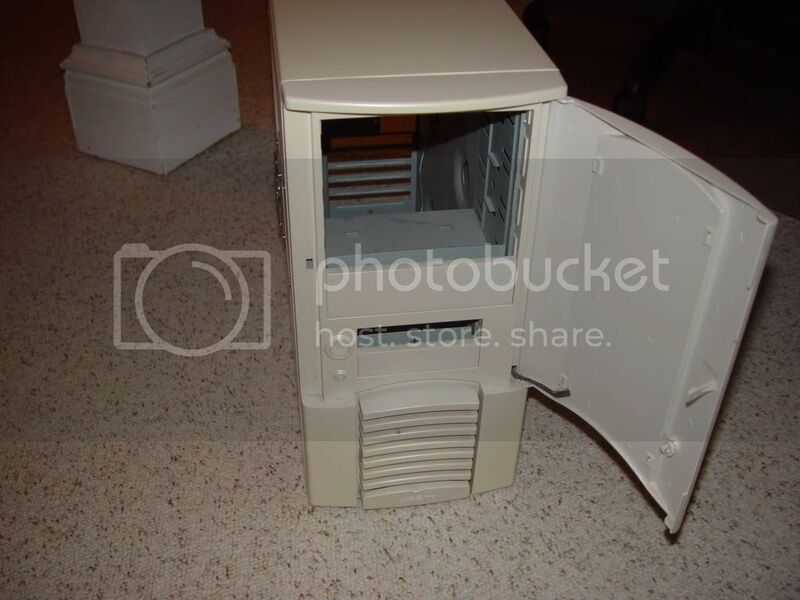 You could even add an extra cooling / exhaust fan there.